Who is the owner of a license? Our e-commerce solution provider is Avangate. What is my order’s status? Have a question about purchasing Dr.Web? It is strongly recommended that you read the product documentation before you start using Dr.Web. 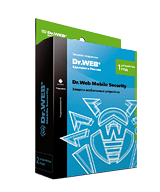 This service is available free of charge for owners of valid commercial licenses for Dr.Web Security Space and/or Dr.Web Enterprise Security Suite (Comprehensive Protection) and also for Dr.Web Anti-virus Service subscribers (Dr.Web Premium package) — provided these requirements were met at the moment the incident occurred. This service is provided on a paid basis to users of other anti-viruses. Find out more.